Artisan Jewelry For the Mexican in You. Day of the Dead, Frida Kahlo, Virgen de Guadalupe, Lucha Libre, Sacred Hearts, etc. This is the season of gift giving, so here's a little something to help you give some Wink this Holiday season. Enjoy! 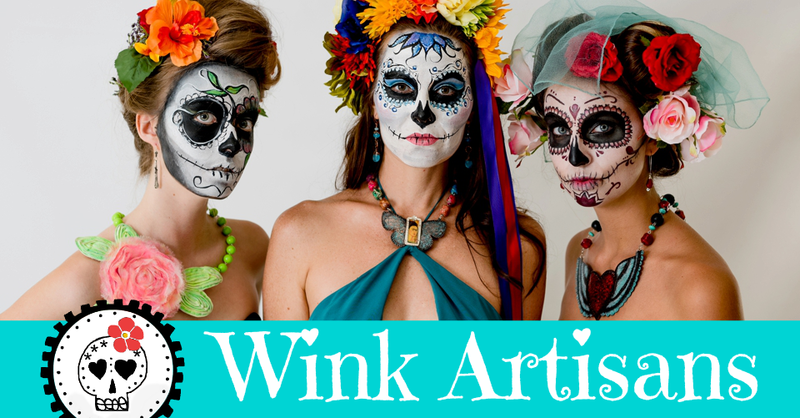 Wink Artisans © 2014. Simple theme. Powered by Blogger.